The writer and director of the new Paramount Network series talks about the series' startling opening shot and keeping sane while making 10 hours of TV. Writing and directing the entire season of “Yellowstone” wasn’t always the plan for Taylor Sheridan. When plans to bring in other people in both roles for Season 1 of the Paramount Network series fell through, Sheridan says that being behind the camera for all 10 episodes actually alleviated some of the standard stylistic pressures of a TV show’s first episode. The point it evolves from, the first scene of the episode, is a jarring opening to a show juggling beauty and pain. A highway horse trailer collision leading to a mercy killing is an idea that came very early on in Sheridan’s conception of the show. Along with the heavy lifting of introducing an entire family, this premiere episode closes with a surprising development: the murder of Lee Dutton (Dave Annable). Looking for a way to subvert audiences’ expectations, Sheridan wanted to frame the show’s opening around acquainting viewers with these characters, all while establishing the possibility that any of them could go anywhere once it ended. That looming sense of death is part of a genre tradition that “Yellowstone” now enters. Sheridan says he wanted to embrace some of the distinct elements of Westerns, while adapting the genre to this new framework. One of those tropes is featuring extensive sequences with animals, including the many sequences on horseback and the stallion scenes in the premiere. 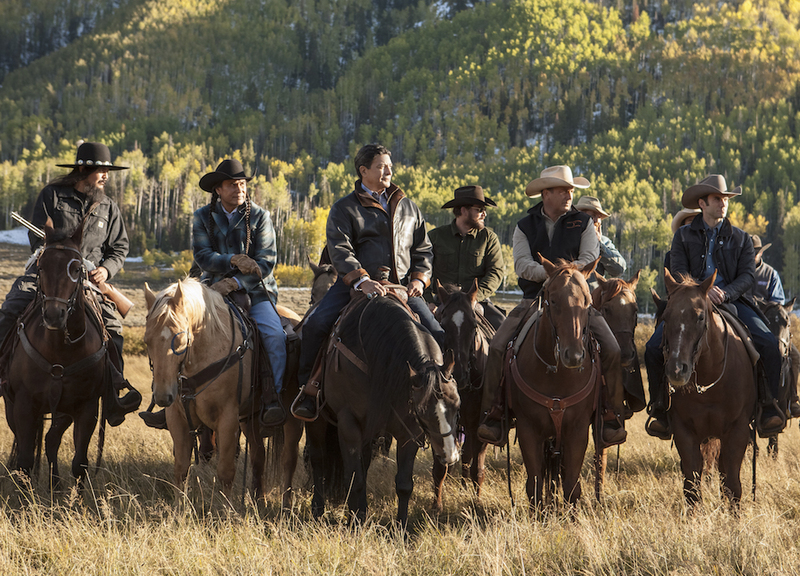 This will not be the only “Yellowstone” episode with some pivotal non-human characters, a storytelling choice that always presents its own unique challenge. The relationship between Thomas Rainwater (Gil Birmingham) and John Dutton (Kevin Costner) will come to be one of the centerpieces of the show going forward. With the fallout from Lee’s murder, tensions between their respective families and communities are a vital part of “Yellowstone.” Along with that element of the show, Sheridan wanted to make sure that the music of the series also reflected its diverse perspectives. Though the production was able to block-shoot the series’ first three episodes, “Yellowstone” is still a show unfolding week to week. Although he brought much of his feature filmmaking experience to the project, Sheridan hopes there’s enough in this prologue to get people invested in where the series goes from here. “Yellowstone” airs Wednesdays at 10 p.m. on the Paramount Network.